We are confident that blockchain and cryptocurrency are here to stay. That being said, the glory days of ICO has passed, and the cryptocurrency market is going through a sanitation period whereby many utility tokens will phase out. However, we remain bullish on asset-backed tokens, and security tokens, tokens with real fundamental value have high potentials to be the next big wave of internet finance. In the evening of the super typhoon Mangkhut’s departure, Plutux successfully held our first community event. Close to 100 friends and guests attended The Future of Asset Tokenization on Monday. 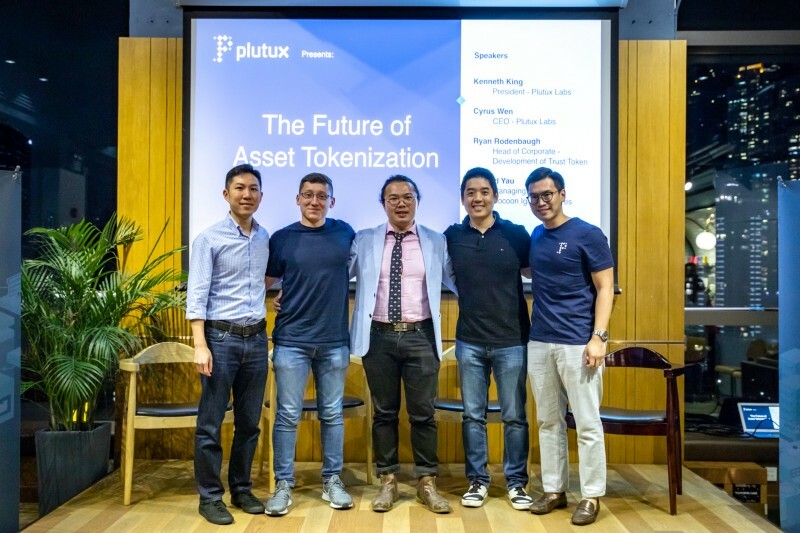 We hope our panelists offered some valuable insights to our audience (Ryan Rodenbaugh from TrustToken, Cyrus Wen from Plutux, and Roland Yau from Cocoon Ignite Ventures). Plutux is excited to announce our upcoming pre-registration along with our comprehensive community program, which offers one of most unique reward mechanism in the industry as we know today. On July 1, Decentralised Institute Asia organized a RISE afterparty, invitation-only “Global Blockchain Snapshot” event in Hong Kong. This event brought together the brightest thought leaders in the crypto space, bringing fresh perspectives and innovations from industry leaders and experts from traditional markets. We are thrilled to announce that Kenneth King has joined Plutux as the company president. Kenneth brings to the team a wealth of experience, having co-founded and worked as CEO of the Chinese mobile video application Tiantian, which was acquired by China’s largest mobile video platform Yixia Tech (Miaopai) in 2016. How Secured is Plutux Exchange? While many exchanges claim to offer industry best security protocols, their loose practices, lack of regulation and failure to adhere to KYC/AML requirements demonstrates they are not as serious about protecting clients as users would hope. Regular updates and research findings from the Plutux Team to help you understand more about our vision, team, and product.